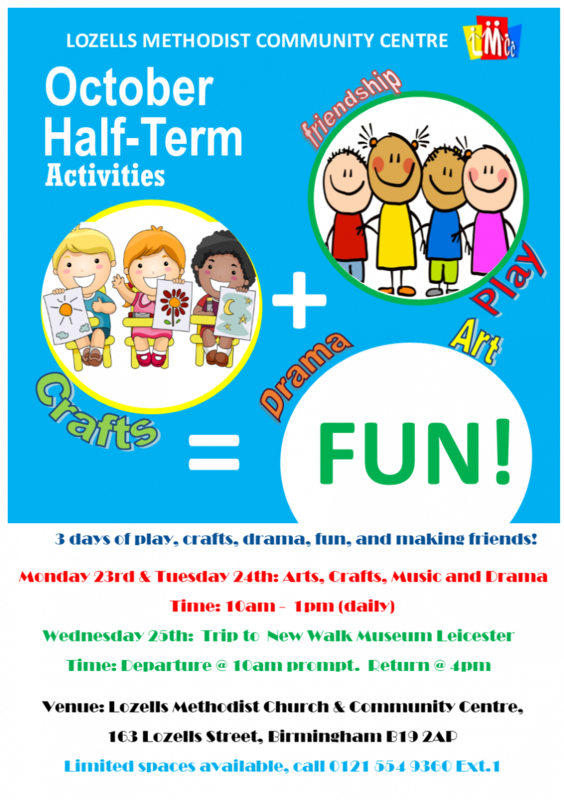 We have planned a range of activities for the half term holiday. This will be a three day event, with the first two days running art, craft, music, drama, and lots of play in between. The third day will be a trip to the New Walk Museum in Leicester. Visitors can view their famous dinosaur gallery and other collections. Call at our reception for inquiries and to register.